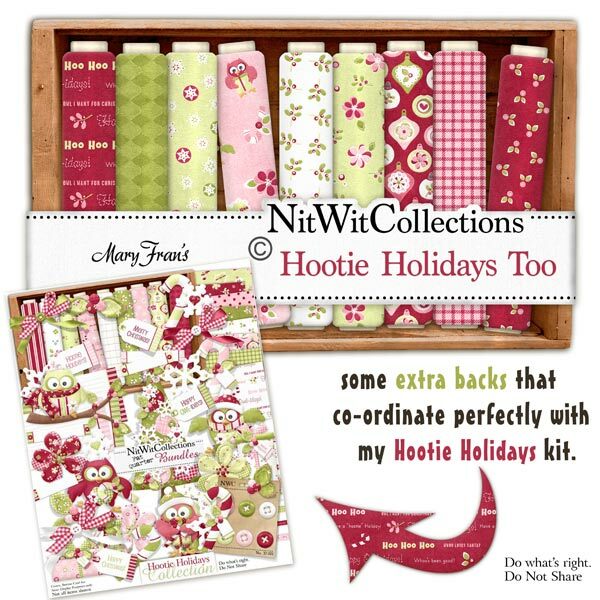 "Hootie Holidays" Too is a great background paper pack that you will not want to miss out on. There is an ornaments in red, poisettia in green, holly in red, and owls in pink to just name a few of the fabulous backs available in this digital paper pack. These digital background papers are NOT included in the FQB "Hootie Holidays" Collection, so please don't miss out! 14 digital background papers that coordinate and colour match my "Hootie Holidays" Collection.